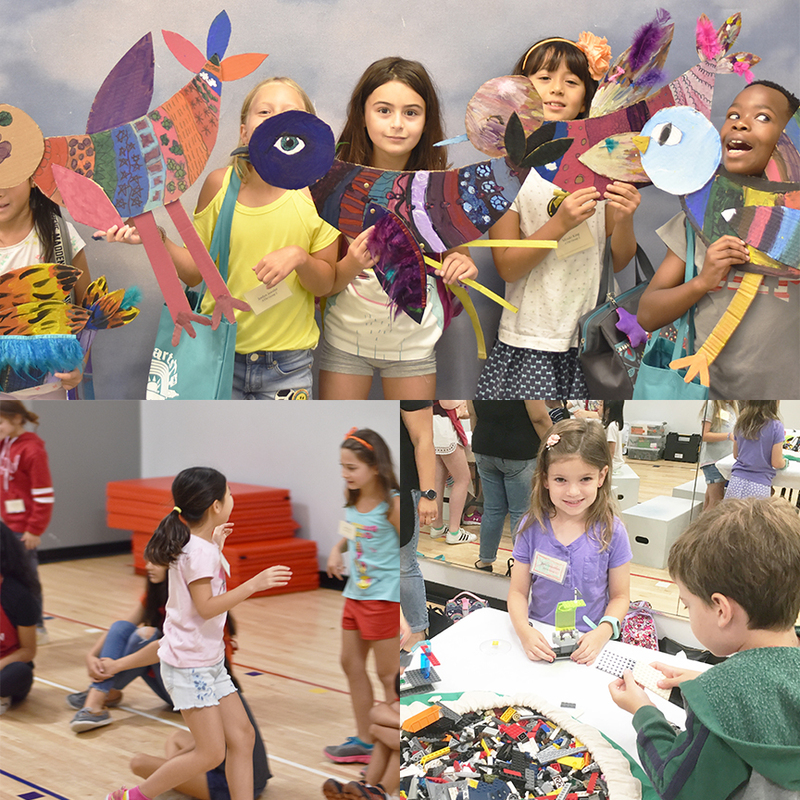 In our one-week Art ,Technology, and Movement camp students expand their creative minds through arts, technology and movement. VisArts has partnered with Snapology to provide technology curriculum and instruction in ATM weeks 1, 2, 8, 9, 10 and 11. In weeks 4,5,6 and 7 VisArts will provide technology curriculum and instructor. The movement class is activity based and designed to promote teamwork and problem solving skills. Campers will rotate throughout the day between two art classes, and one technology and movement class each day. Each class is capped at 16 students and supervised by one instructor and at least two counselors. Campers are grouped by age. We are excited to be able to welcome 6 year-olds to ATM in weeks 8-11. During these weeks our enrollment blooms so that we are able to group our youngest learners with others in their skill and maturity cohort. Please make sure that your child is 6 by camp time.